From October 4 until October 15 2010 Volkel Airbase, northeast of Eindhoven in the Netherlands was hoster of one of the top and most challenging events this year, NATO Tiger Meet which is also one of the biggest airforce exercises in Europe. Hosting unit was RNLAF 313 Squadron. The " Safaripark" : many different aircraft types on the apron, some of them in the tiger look. On 8 flying days 644 sorties with the more than 50 airplanes were flown. 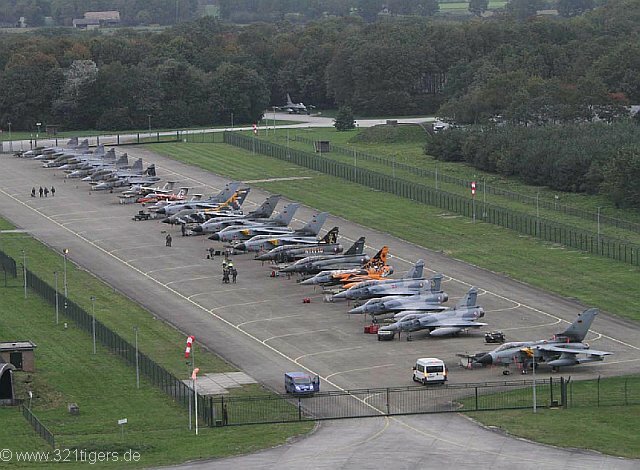 Among them all that's good and expensive: F-16, Mirage 2000, JAS-39 and of course TORNADO. 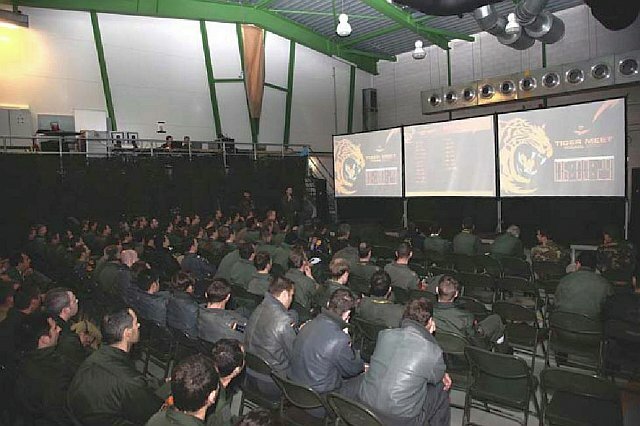 After some years without a full participation this was the first time that the Lechfeld Tigers participated again with a full "load" of 3 TORNADO ECR to plan, fly and debrief missions with many international participants. 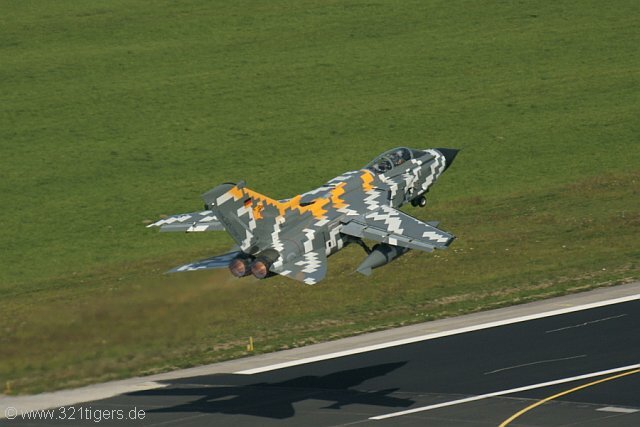 According to their motto "Digital Tigers" the 321 Tigers had brought an jet with a special paint. Tigerjet TORNADO ECR 46+29 was covered with a digital-type motive and was given the nickname "lego bomber" by the spotters later. Read more about this tigerjet under the respective main menue item.